A Geometry Problem for TJ/AOS/Blair Problem (Medium). Target Time. 25-45 seconds. A regular hexagon ABCDEF is shown in the figure below. On sides AB, CD and EF a semicircle is drawn as shown. 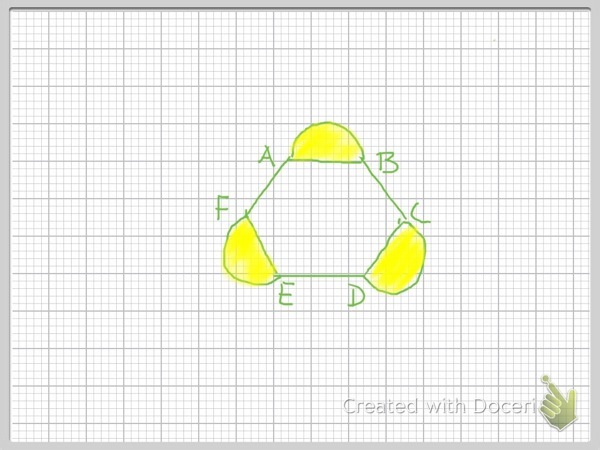 What is the ratio of the total area of the semicircles to the area of the hexagon?